Online poker is played by millions of players across the world, making it one of the most popular internet casino games. Due to its popularity, it is more important than ever to find ways of giving yourself an edge against your opponents. One of the ways in which this can be done is by reading your opponents. So how can you do this when you are playing poker online against opponents who you cannot see? In this article, we briefly summarise how you can read opponents in poker when playing online. Poker is a casino game which traditionally involves a large amount of human interaction with the other players. Sometimes, this can work to your advantage in poker, since poker is a game where information from other players can actually be used to inform your strategy. What do we mean by this? Typically, if you know whether your opponent has a good hand, or a bad hand, then you can adjust your game accordingly and win more. However, you won’t know this until it is too late. However, you can turn the game to your advantage by relying on poker tells. Poker tells refer to the clues which your opponent gives you regarding their hand; in other words, these clues indicate whether your opponent has a strong, or a weak hand. Poker tells can either be unconscious cues, where a player unwittingly gives their opponent an indication of the strength of their hand, or conscious and deliberate cues, where a player deliberately misleads their opponent in an attempt to force their hand and an obtain an advantage by tricking their opponent into misreading the game. There are two forms of poker tells which can be used: physical tells and through studying the betting patterns of your opponent. Physical tells, which typically include aspects of your opponent’s behaviour including performing specific actions (such as throwing chips in a particular manner after a bad hand), or facial reactions; however, these are only applicable to live poker. Therefore, to make the most of online poker tells, you should focus on studying the betting patterns of your opponent. The first thing to consider before anything else, when using online poker tells, is to assess the experience of your opponent, since this will give you an indication of what mistakes they might make and what actions you might be able to turn to your advantage. For example, a relatively inexperienced player might have the tendency to make more beginner mistakes and might not understand all the relevant factors when making a decision at the table. At this point, you will have an understanding of the relative strength, or weakness, of your opponent and you should then begin to take careful notes of your opponent’s actions when playing. By carefully studying the behaviour of your opponent when they are playing within common poker situations, you will be able to use this knowledge against them as the game progresses. For example, there are a multitude of particular behaviours to look out for during a game. 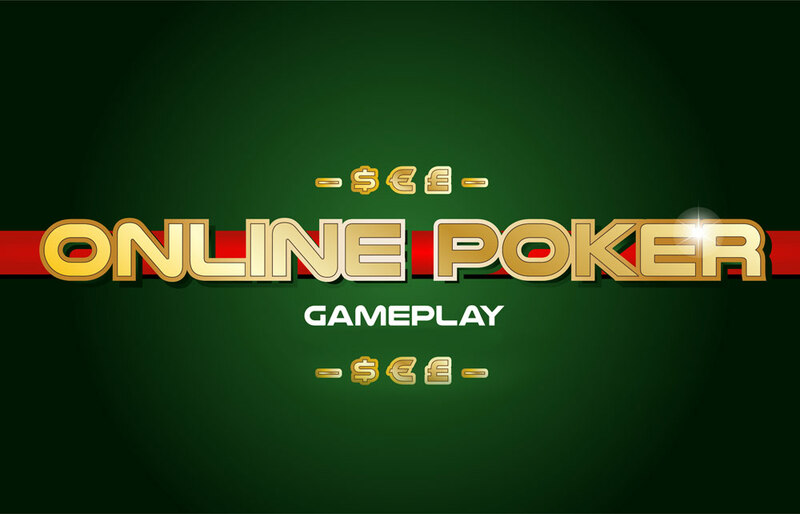 These can include: watching for how often your opponent plays pre-flop; monitoring if your opponent tends to semi-bluff during the game; assessing whether your opponent favours low-value bets during play; watching the way in which they play their marginal hands, which might include a top pair/weak kicker, or middle pair; finally, does your opponent tend to tilt easily when they are having a poor game? Finally, there are a variety of poker betting patterns which can be observed and exploited. These are more commonly employed by relatively inexperienced, beginner, or intermediate, online poker players and can be used to your advantage. For example; some players will play the same bet size on the turn as the flop. As they have not increased their bet size on the turn, this generally indicates that the player is unwilling to commit; more often than not, the pot can be taken down by simply raising the bet. Additionally, in some occasions players will call extremely quickly, but this typically means that they haven’t fully thought through their decision, particularly when chasing a flush. However, if the flush card doesn’t appear then this tends to indicate a missed draw which is simply bluffing. One thing to be particularly wary of is when an opponent, who has been continuation betting for the majority of the game, suddenly decides to check, this is usually a warning that they possess a large hand.